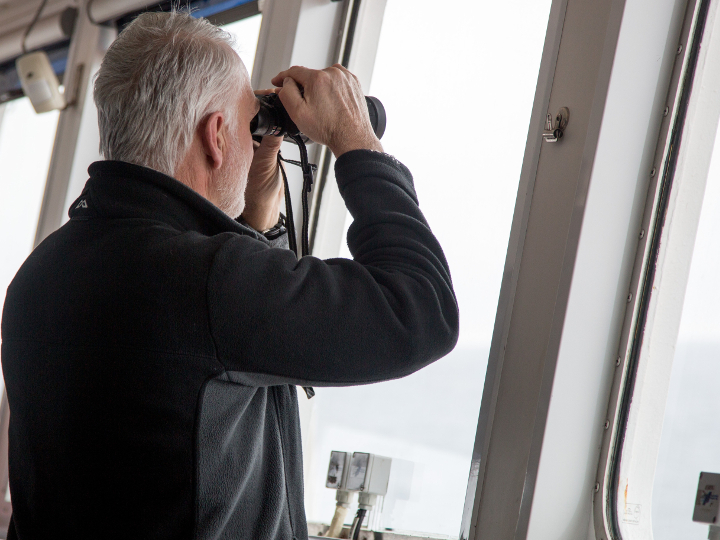 Ice observer John Powell observes ice conditions during an expedition to Antarctica in early 2018. 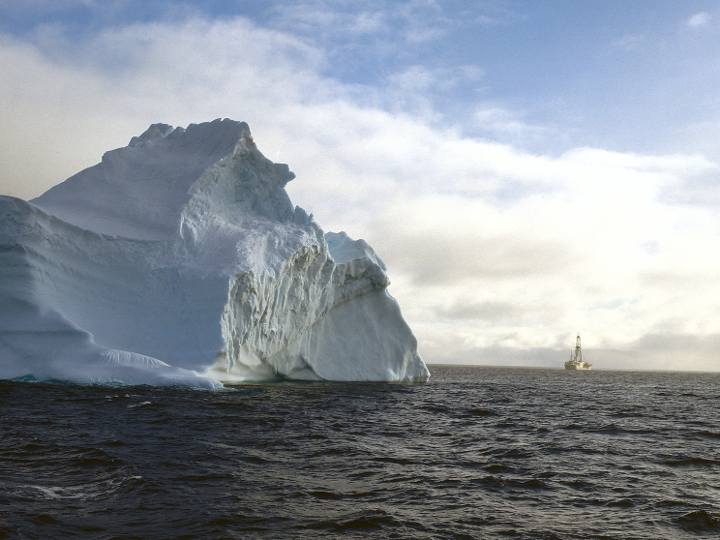 Powell will also sail as the ice observer on the upcoming expedition. Credit: International Ocean Drilling Project, JOIDES Resolution Service Operator and William Crawford. Delaney Robinson, a PhD student in the UH Department of Earth and Atmospheric Sciences, will serve as a shipboard sedimentologist. In all, about 30 researchers will make the trip, representing 25 universities from the United States, Europe, Japan, China, Korea, India and New Zealand. Wellner is also principal investigator on a second international project in early 2019, this one to study the Thwaites Glacier in Antarctica, funded by the NSF and the Natural Environment Research Council in the United Kingdom. UH PhD student Rachel Clark will make that voyage, as Wellner oversees the work while on the IODP project.